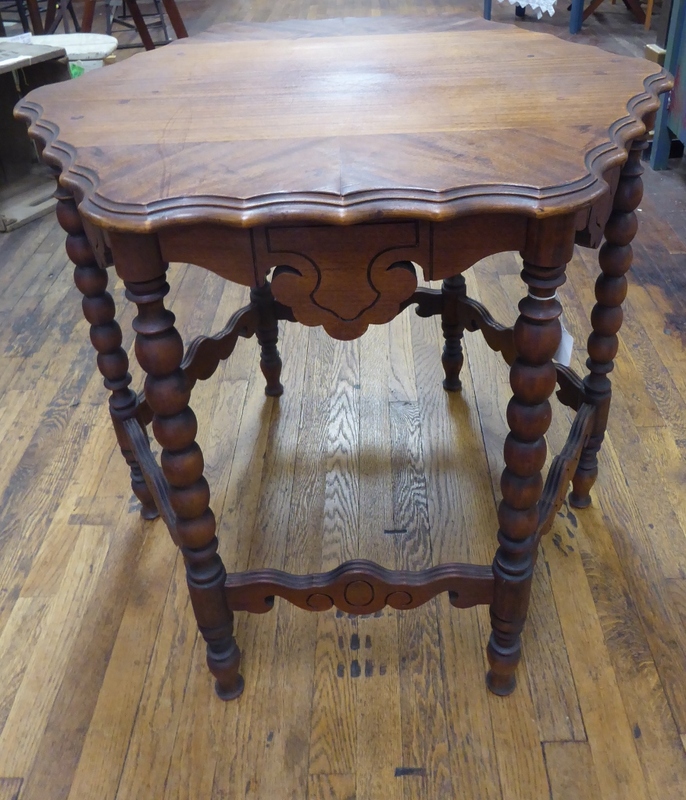 Side Table with 6 Legs and Great Detail, Booth 57, $125.00. 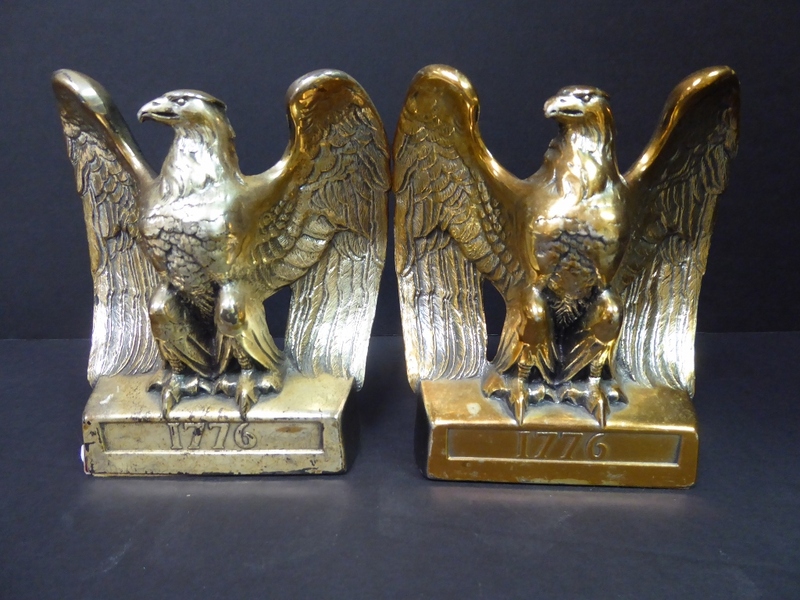 Pair Heavy Brass Bookends, $50.00, Booth 195. 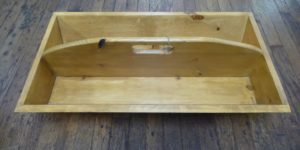 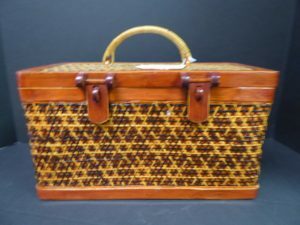 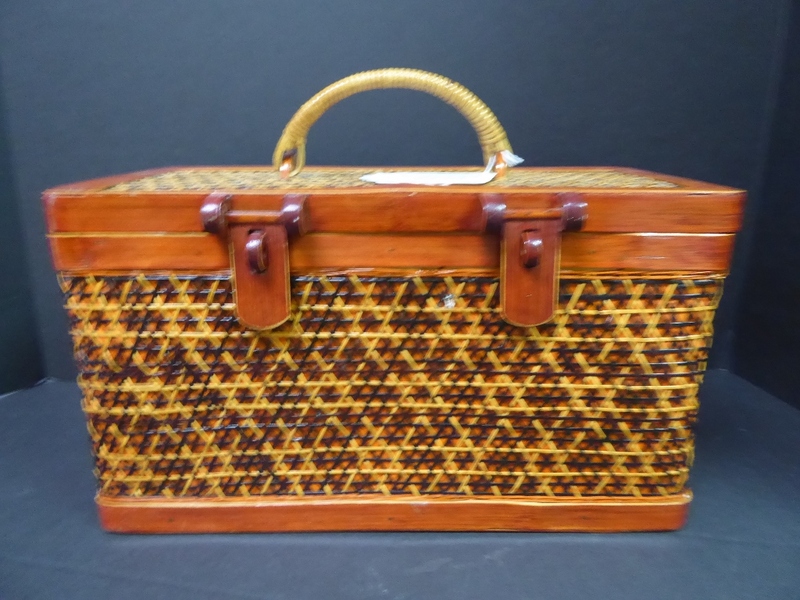 Mid Century Wooden Basket/Purse – $46.00, Booth 90. 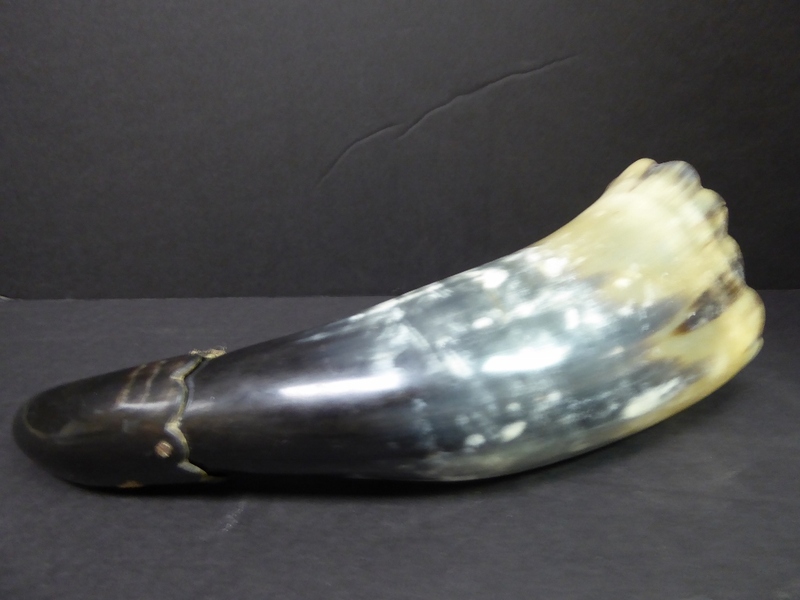 Animal Horn (Makes Noise!) $19.00, Booth 339. 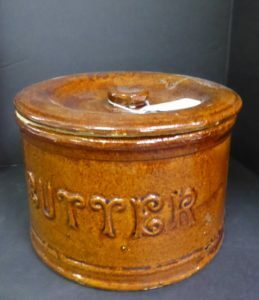 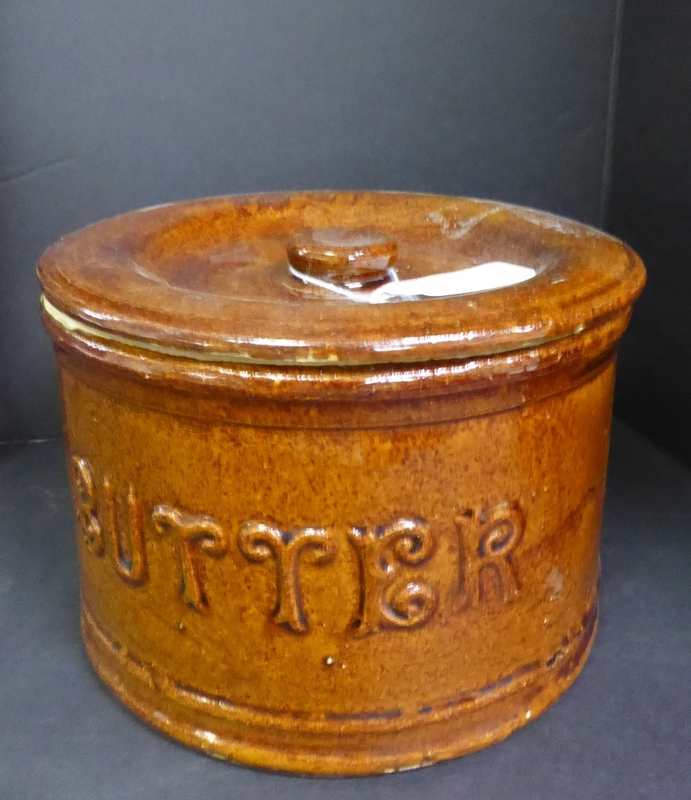 Butter Crock w Lid, $25.00, Booth 44. 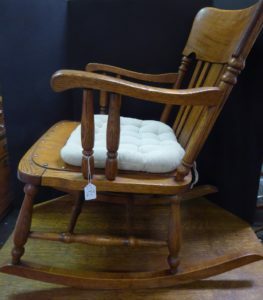 Oak Rocker $149.00, Booth 2. 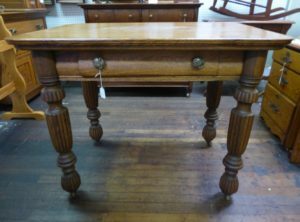 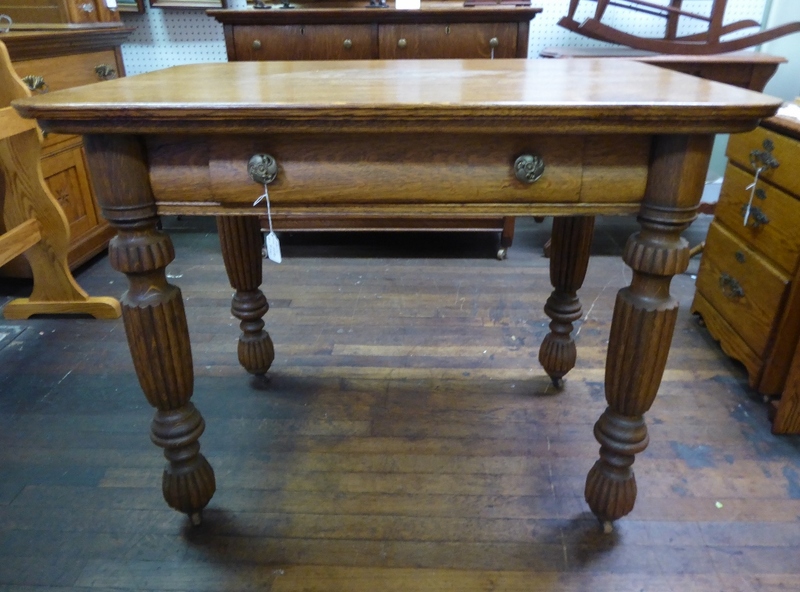 Fancy Oak Table, Booth 2 – $398.00. 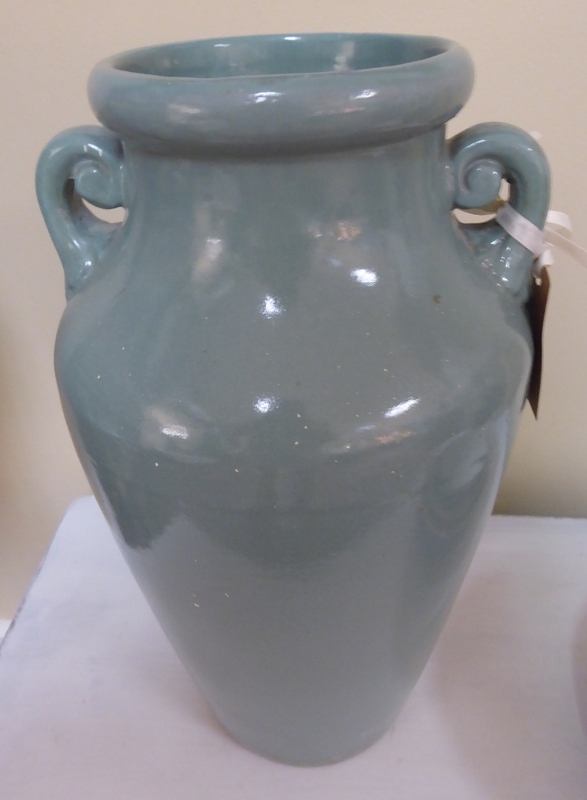 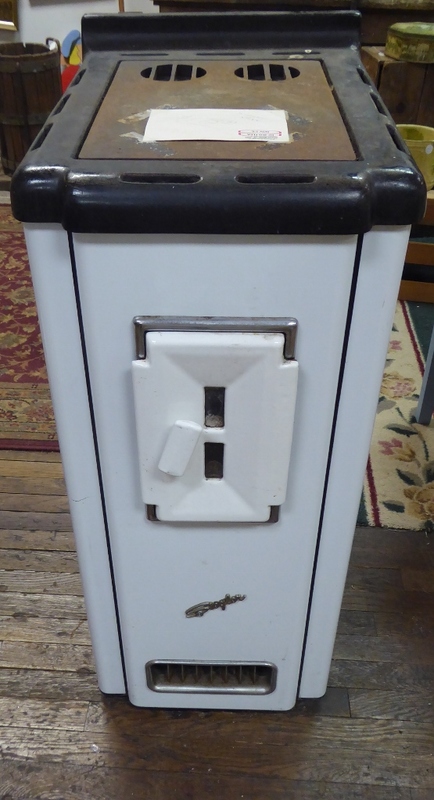 Tall USA Oil Jar, Booth 38, $65.00. 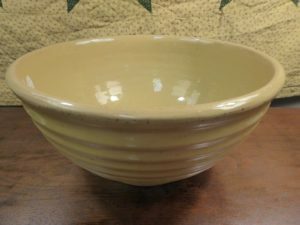 Yellow Ware Mixing Bowl, Booth 38, $45.00. 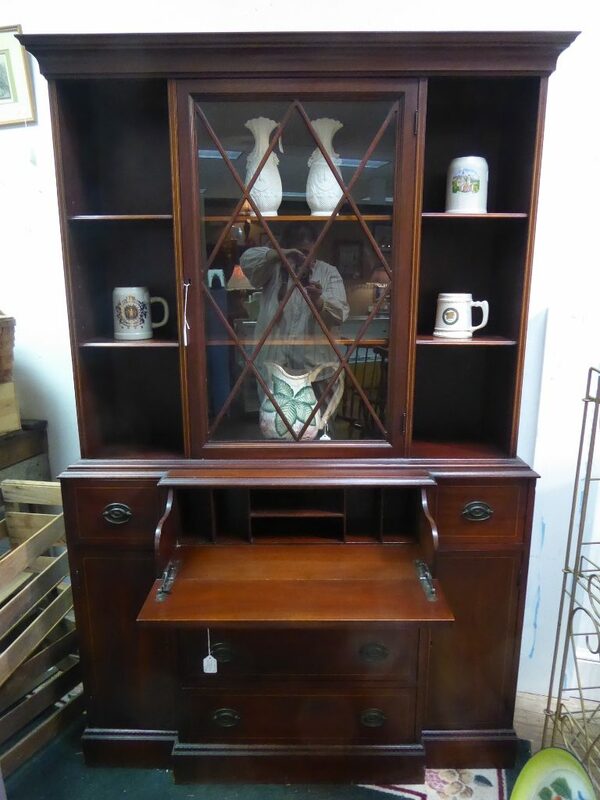 Colonial Furniture Mahogany Hutch/Secretary, Booth 44 – $395.00.